Thank you for signing the Guest Book for Ferdinand (Fred) UTHE. Please take a moment to sign the Guest Book for Ferdinand (Fred) UTHE. 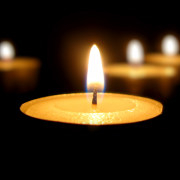 UTHE Fred The President and members of the Lions Club of Port Fairy Belfast, 201V2 district, are saddened by the passing of our respected member Fred and extend our sincere condolences to his wife Lyn and his family. Send me a daily email when updates are made to the obituary or Condolence page for Ferdinand (Fred) UTHE.